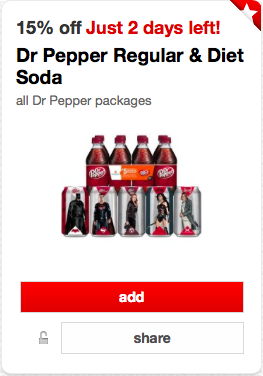 There are only a couple more days to take advantage of the 15% off Cartwheel offer valid on all varieties of Dr Pepper Regular and Diet sodas. You can use it on Dr Pepper Regular, Diet, Cherry, Diet Cherry and TEN varieties. Watch for the limited edition Batman v Superman packaging on Dr Pepper 12-packs and 8-packs. 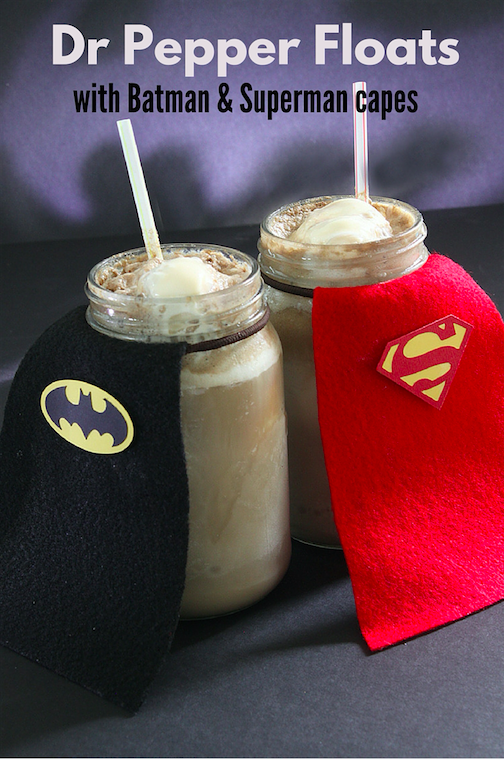 Root for your favorite Superhero by making these fun Dr Pepper floats with Batman and Superman capes.